We are the nondestructive testing manufacturers trust to ensure the consistency and quality of their products. With the latest imaging technology, we provide quick and accurate inspection of everyday consumer products, including inspection of packaging, product assemblies, and saleable items. Our NDT lab is equipped with a full suite of advanced imaging capabilities. We have the greatest diversity of industrial computed tomography systems in North America, including an exclusive high energy CT system for rapid testing of larger parts up to 44.5” in diameter by 63” in height. For even more testing options, we also offer radiographic testing when high volume inspection is required of internal geometry. Our CT services give critical feedback of manufacturing processes during production through rapid part inspection. We provide testing services during specific or random intervals to qualify parts before they reach the consumer and to check that production processes are optimal. For high value consumer products, 100% inspection with CT during production is also available. Industrial x-ray is the perfect fit for sorting of mass produced consumer products. We take the guesswork out of quarantined, warranty, or recalled components with a traceable and repeatable inspection process. For lot inspection of low volume, high value parts, industrial CT is another option. 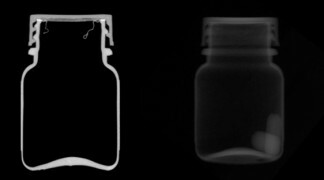 Industrial computed tomography is the ideal NDT method for internal inspection of the whole range of consumer products. It preserves the original condition of failed products with only minimal fixturing during testing. Our services provide data for virtually all defects types, both external and internal, including: porosities, voids, and cracks, assembly misalignments, inconsistent wall thickness, electrical shorts, and internal fiber inspection for checking structural integrity.